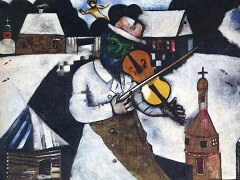 As Chagall explained in his autobiography My Life, the model for The Praying Jew was an old beggar whom the artist invited to sit for the painting, wearing his father's prayer clothes. These consist of a tallis - a fringed shawl with black bands - and phylacteries - two small square leather boxes containing passages from the scriptures, which were bound with leather straps to the head and left arm of Jewish men during prayer. 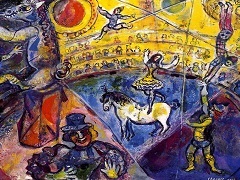 Chagall used the white-and-black color scheme and geometric patterns characterizing this ritual garb as the basis for a dazzling composition of highly abstracted shapes bearing witness to his assimilation of early modernist movements (such as Cubism, Orphism, and Expressionism). 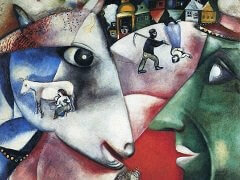 What is remarkable is that the artist did so without sacrificing any of the portrait's emotional impact. 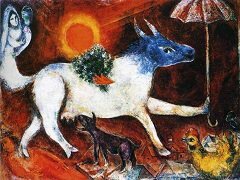 The abstract shapes that swirl around the figure contribute to transforming this portrait into an icon or symbol for an entire world, the Jewish world of Chagall's youth. 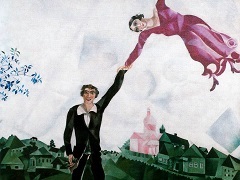 In painting this and other pictures of Jewish life, the artist was clearly motivated by a desire to preserve a tie to a past that was threatened for him both by the passage of time and by geographical distance (Chagall had intended to return to Paris after his 1914 visit to Vitebsk, but was detained in Russia until 1923 by the outbreak of World War I and events connected with the Russian Revolution). 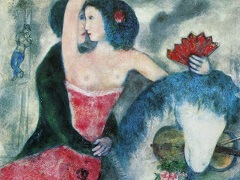 From the perspective of the late twentieth century, this image is all the more moving, since we know that this world and its people were to face a far greater threat than Chagall could have possibly imagined in 1914. 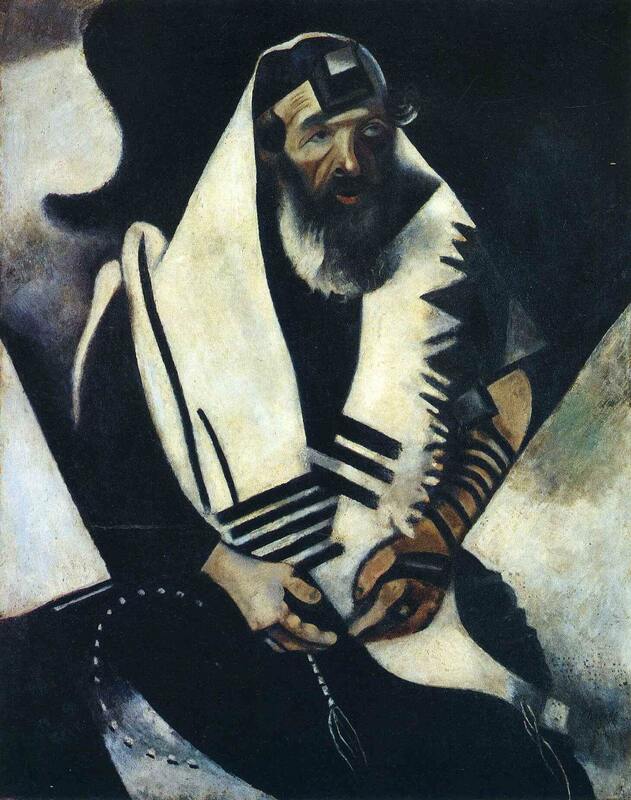 This portrait is noteworthy for the simplicity of its execution; nonetheless, its striking patterns, abstract background, and the slightly distorted features of the model demonstrate Chagall's absorption of modern trends, especially Cubism.